Prospects for the new social platform, which aims to connect community projects with big business, are good. Why are big brands like Starbucks and M&S supporting Neighbourly, a small social platform that launched in the UK last year? 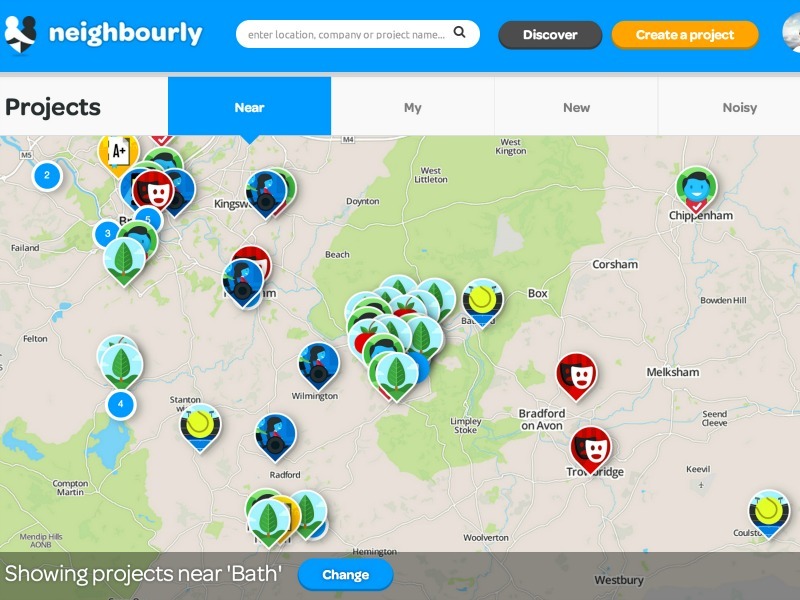 The answer lies in Neighbourly's ability to connect big business with local community projects, using digital technology to potentially disrupt traditional notions of CSR and corporate philanthropy. Neighbourly, which was founded by agency veteran Nick Davies, has a suitably grand mission, "to help business become the greatest force for good the world has ever known." But its methods are far more specialised, allowing businesses to find local projects that have highlighted their cause on the platform, and provide support via money or volunteer hours. It's a fairly simple idea, but is particularly attractive for big businesses that increasingly recognise their local branch employees want more involvement in community giving. "The main driver for big business is their employees," Davies told the Holmes Report. "We’re facilitating that local project engagement. If you were to try and do that manually — asking every store to manage locally - it would be hard to administer." "If you’re doing this on a localised basis, you’re touching people in a far more relevant way." Starbucks EMEA director of corporate affairs Simon Redfern agrees, which explains why his company has so far pledged more than £77k to community projects so far, almost 10% of the total funds that Neighbourly has raised. "There’s no way Starbucks can advertise their way back to trust. They have to earn it back." — Neighbourly founder Nick Davies. "Our partners are very well aware that Starbucks is a very global brand — this is a way to prove they are really part of the community where they work," explains Redfern. "They can log into Neighbourly and find out what’s going on around them. It’s a really good mechanism — I can put a store in touch directly with a project, based on tags and location." Redfern believes the approach aligns well with Starbucks' focus on local communities, which has been obscured in the UK by the company's tax issues. "We didn’t really do a good job of translating the community element to our story here in the UK." "There’s no way Starbucks can advertise their way back to trust," adds Davies, noting that the company is supporting a local cafe that probably counts as a competitor. "They have to earn it back." Davies has big plans for Neighbourly, forecasting £10m in pledges by the end of this year, and expansion beyond the UK into markets like the Netherlands and South Africa. In addition, the company has hired UK firm Metia to handle regional and national PR support. "How a clear social purpose aligns to their commercial objectives should be important to every business right now," explains Metia UK MD Mark Pinsent. "Our experience in the corporate communications arena tells us Neighbourly solves a real problem for the CSR, citizenship, PR and marketing functions managing giving programmes at larger organizations. Employee engagement is also relevant as Neighbourly helps employees to support the projects they feel passionate about." The platform is only six months old but the support of brands like Starbucks and M&S indicates a clear gap in the market. "We were blown away by the ambition," notes Redfern. "This is a product that doesn’t exist, and as a business, Neighbourly will provide us with a much better way to build local relationships."